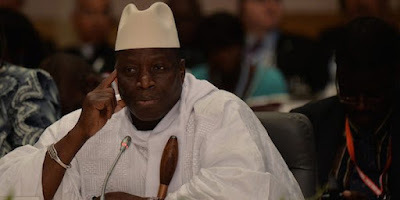 Counsel to outgoing president of The Gambia, Yahya Jammeh, Edu Gomez, has fled the country to neighbouring Senegal after asking the president to step down in order to avoid a gruesome end to his tenure. The lawyer represented Jammeh and the APRC, in their failed attempt to have the country’s Supreme Court overturn Adama Barrow’s victory and inauguration as President. Gomez said he and his family fled to Senegal having successfully eluded the 24 hour military surveillance he was placed on. He wrote: “On Tuesday 17th January 2017, my son and I took a crucial decision to seek sanctuary in the sister Republic of Senegal. This was found necessary due to the mounting fear and rapidly increasing tension at every passing moment. “The general perception is that after midnight on 18th January 2017, the mandate of President Yahya Jammeh would expire and President-elect Mr. Adama Barrow would be sworn-in as president, in line with the dictates of our constitution. Any attempt to interrupt this ceremony, it is clearly understood, opens the Gambia to attack from ECOWAS forces. “Having fortunately eluded the 24 hour military security around me and my family, I managed to arrive in Senegal where I now gained safety, respite and mental stability. In my present situation, I humbly and respectfully advise president Jammeh as the champion of peace he has been known to be to peacefully step aside in the interest of peace and safety of the Gambian people. Jammeh’s whose Presidency expired on Wednesday midnight, has insisted he won’t step down, despite losing the December 1 election to Adama Barrow.